Safaricom Foundation’s Wezesha programme has partnered with Generation Kenya to equip unemployed youth aged 18-35 with the knowledge, skills and tools required to succeed in a job, and positioning them for ongoing personal and professional success. This partnership will support intensive job training for 1,600 youth aged 18-25 years in Vocational Training Centers across the country. The training ensures students receive job-ready skills in financial services sales, distributed sales, retail and restaurant services, sewing machine operation and customer service. Wezesha is a programme under Safaricom Foundation’s new strategy that focuses on youth empowerment in Kenya. Wezesha aims to connect people to opportunities by empowering them with proven practical solutions for employment and self-employment. It always excites us to see stakeholders who are keen on working together to fight unemployment and empower our youth, as we know this can only mean one thing for our country; progress,” said Dr. Kevit Desai Principal Secretary in the State Department of Vocational and Technical Education. The Generation Kenya program is funded by USAID and McKinsey & Company. Generation works closely with the Government of Kenya through Technical Vocational Education and Trainings (TVETs), providing these institutions with a best-in-class curriculum and methodology for training young people for employment. The majority of those who participate in the Generation Kenya program are secondary school leavers who have struggled to find work. They undergo a four to eight week long intensive training in sectors such as financial services, retail, hospitality, consumer goods, customer service and apparel manufacturing. 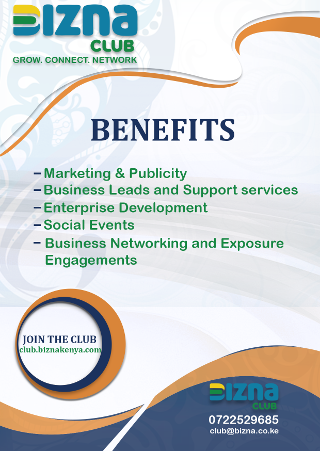 The trainees are guaranteed an interview with one of the various Generation Kenya employer partners. To date, Generation in Kenya has graduated 9,000+ youth with 88% of them placed into meaningful employment. The event was presided over by the Principal Secretary for Technical Vocational Education and Training (TVET) Dr. Kevit Desai, Principal Secretary in the State Department of Post Training and Skills Development Mr. Alfred Cheruiyot , Safaricom Foundation Trustee Sylvia Mulinge , USAID Kenya and East Africa Deputy Mission Director Heather Schildge, Senior Partner at McKinsey & Company, Mr. Kartik Jayaram and Ramakhrishnan Hariharan, Generation Kenya’s CEO. “We are committed to our mission of empowering young people to build thriving and sustainable careers and providing employers the highly skilled and motivated talent they need. 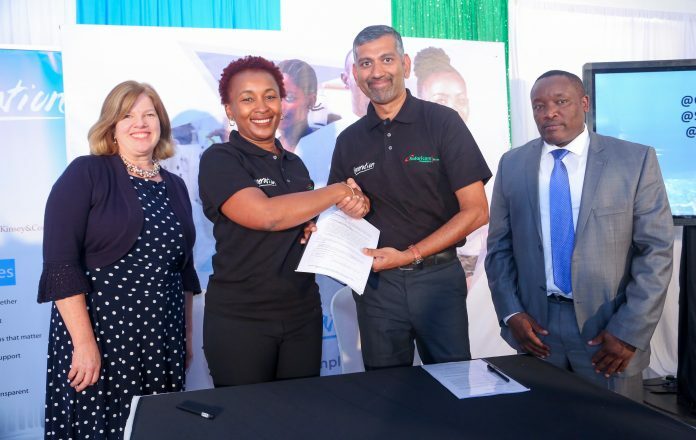 By training young people on employability skills and connecting them with jobs, we are helping solve the skills gap and unemployment problems that exist in our country,” said Ramakhrishnan Hariharan, Generation Kenya’s CEO. According to a survey by the Kenya National Bureau of Statistics (KNBS), seven million Kenyans are unemployed. Out of these, 1.4 million have been desperately looking for work. The 2018 report also showed that nine in every 10 unemployed Kenyans are 35 years and below, with the largest unemployment rate recorded in the age cohort 20–24, at 19.2 per cent. The partnership addresses this significant challenge. The partnership will help address the need for sustainable youth employment through an innovative, replicable and rapidly scalable youth employment model for young high school graduates. “We are very excited about the partnership, as through it we will get to fulfill our objective of transforming lives and building communities as we connect young and disadvantaged youth with job opportunities,” said Sylvia Mulinge, Safaricom Foundation, Trustee.